NTEN is pleased to introduce the 2019 Digital Inclusion Fellows. These nine emerging leaders of the fifth cohort are joining the Fellowship to hone their skills and develop new and enhanced digital literacy programs for adults. These professionals from North Carolina, Ohio, Oregon, Texas, and Utah work at nonprofits and social service agencies ranging from youth education and literacy organizations to public libraries, and more. Together they’re committed to empowering individuals and communities by helping them get online. A’Sarah has worked as a Network Administrator at the East Cleveland Public Library for the past two and a half-years. She earned her Bachelor’s Degree in Political Science with a focus on Criminal Justice from University of Akron. She has a strong background in computers and has been interested in computers since childhood. An avid traveler, she’s been to Jamaica and Canada, and plans to soon visit Cancun and Thailand. She works closely with the community of East Cleveland to bridge the digital divide, and is passionate about digital inclusion because a barrier to digital literacy facing ECPL patrons is that the city of East Cleveland does not have a cable provider right now. Many of her students express how their lack of experience with computers makes them feel low and embarrassed, even in front of their own children. She always reassures them that while it may take time, they will learn everything they need to learn about technology. As manager of the rural Williams library branch in southern Oregon, Ellie works with volunteers to connect library patrons with the information and services they need. 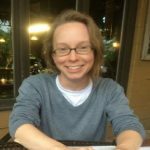 Ellie believes that access to information resources can be key to transforming a person’s life, but that people from diverse backgrounds experience a variety of barriers to accomplishing their goals. Breaking down these barriers in the digital realm is one way that Ellie works to reduce opportunity gaps faced by less privileged communities. 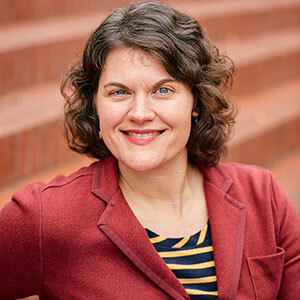 Ellie earned a master’s degree in city planning from UC Berkeley and worked as a researcher and policy analyst at the Center for Labor Research and Education. When Ellie isn’t at the library, you can find her hunting down wild plants, practicing martial arts, running a nonprofit infoshop, or dreaming about becoming a children’s book illustrator. Emily earned her B.A. in Spanish and Anthropology at Macalester College in St. Paul, Minnesota and earned her M.A. in Anthropology at the University of the Americas in Puebla, Mexico. She has a background in program design and development and works with the City of San Antonio as a Training Officer for the San Antonio Public Library System. In this capacity, she imparts and closely manages programs that further the Learn Center’s goals on the West Side of San Antonio, including workforce development, digital inclusion, GED preparation, job fairs, job application guidance and assistance, resource referrals, and support. Digital inclusion is important to her because she is focused on providing community members with the tools they need to pursue their educational and employment goals. She was recognized as a “Top Innovator” by the Urban Library Council in 2016 and 2017. Born and raised in Austin, TX, Gabryella is a Program Leader at Latinitas, a nonprofit organization that empowers all girls using media and technology. Gabryella is passionate about Digital Inclusion within the community they serve because they have seen firsthand how technology-based literacy benefits people of all ages, and in collaboration with NTEN, they hope to serve even more people and give more access to skills they can use to their advantage. They currently hold a B.A. in Latin American Studies and Sociology from the University of Texas at Austin. Kyra is committed to educating students, colleagues, families, and the community through establishing strong connections. She holds a bachelor’s degree in Early Childhood Education with a minor in Art from the University Normal Justo Sierra. She has been an educator in Mexico as well as in the U.S. and a family advocate and educator, which has molded her beliefs in equity, celebrating diversity, and developing partnerships. Kyra firmly believes that success in education is about building relationships. She’s dedicated to becoming a lifelong educator and learner, and she strives to instill a similar desire in all of the families and students with whom she works. Kyra is a partner member of Read Charlotte and has participated in several community engagement events and trainings. 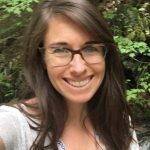 Maddie has worked for Oregon WIC in Deschutes County for the last five years, initially serving as a breastfeeding Peer Counselor and most recently as a bilingual WIC certifier. She is passionate about closing the gaps that create health inequity in our communities, especially as pertaining to cultural and socioeconomic divides. 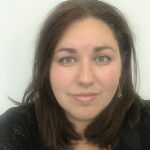 Maddie has a special interest and focus on helping Spanish speakers become more comfortable navigating an increasingly digital landscape on their journey to health equity, and is very excited to be chosen as a fellow in this cohort. Samuel is from from Colombia, specifically from Cali, “the Salsa Capital of the World.” He finished his university studies in Business Administration in 2013 and in Pedagogy for Children in 2008. He participated in social and cultural projects to help make this world a better place and worked for private companies in Colombia. Since he arrived in the U.S., he felt a huge desire to serve, help, and connect with the community and he knows education is the most effective tool to achieve everything. He feel it’s a privilege to be part of the working group at Orange County Literacy Council and El Centro Hispano in North Carolina. As a new Digital Inclusion Coordinator for CHN Housing Partners, Shenee is a technology trainer helping impoverished communities and senior populations acquire digital devices through small-group workshops, spontaneous individual training sessions, and more formal training workshops. Shenee has coached and trained teachers, parents, students, and community members on digital resources since 2005. She became a Certified Google Apps for Education Trainer and a Infohio I-Coach in fall 2018. These certifications allow her to teach people how to use the Google Suite and navigate the State of Ohio’s Public Library resource for education. When she was a middle school librarian, she held many roles: Social Media and Web Team member, Building Leadership Team, and Technology Coach for Parents. One of her professional development goals was to increase the use of technology integration in the classroom.